I recently received a new calling at my church. A calling is sort of a responsibility or job to help serve within the church. My new calling is in activity days. Activity days is a program for 7 to 10 year old girls, we meet twice a month and learn new skills and other kind of life lessons. Anyways, it’s the beginning of the year and so we had a meeting to decide what to do for the girls for their birthdays. 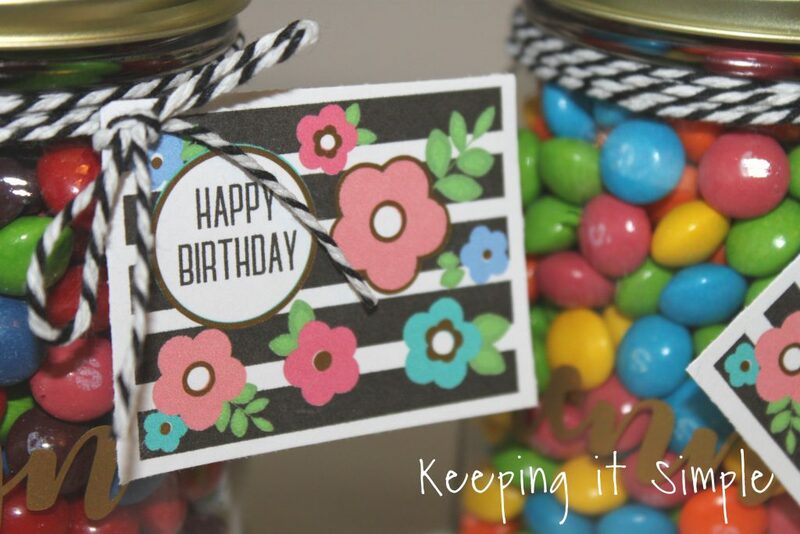 I was put in charge of this, so I came up with this super cute and easy birthday gift for the activity day girls. 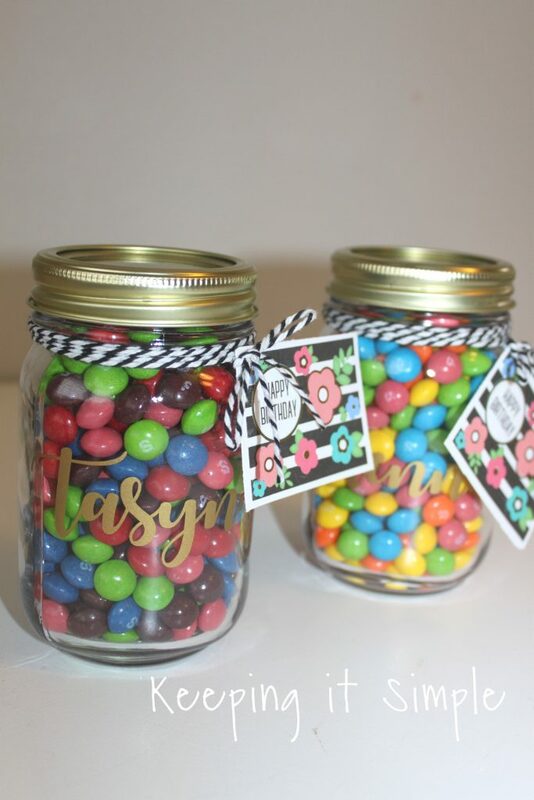 I made up this candy jar with their names on it and then added a super fun and cute floral tag to go on it. I love how it turned out and I can’t wait to give them to the girls are the year goes on. 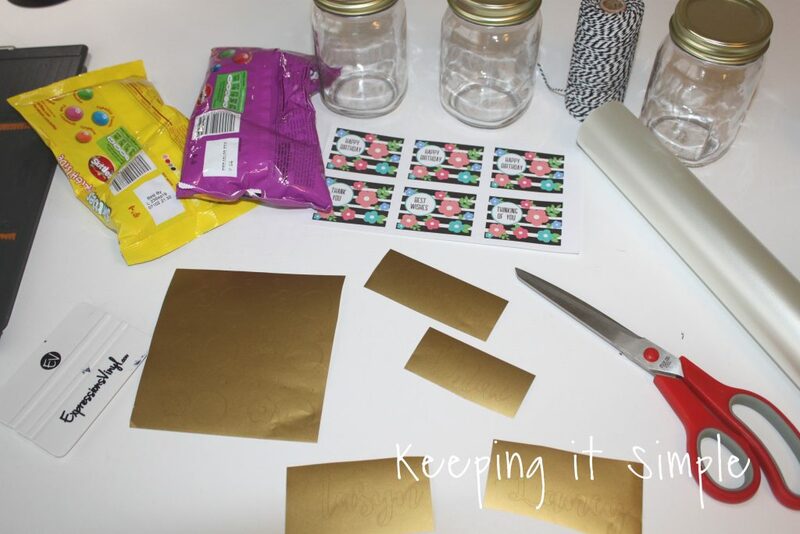 Here is a quick video to show you the process of how I made these fun candy jars with floral tags. I started with some smooth jars. 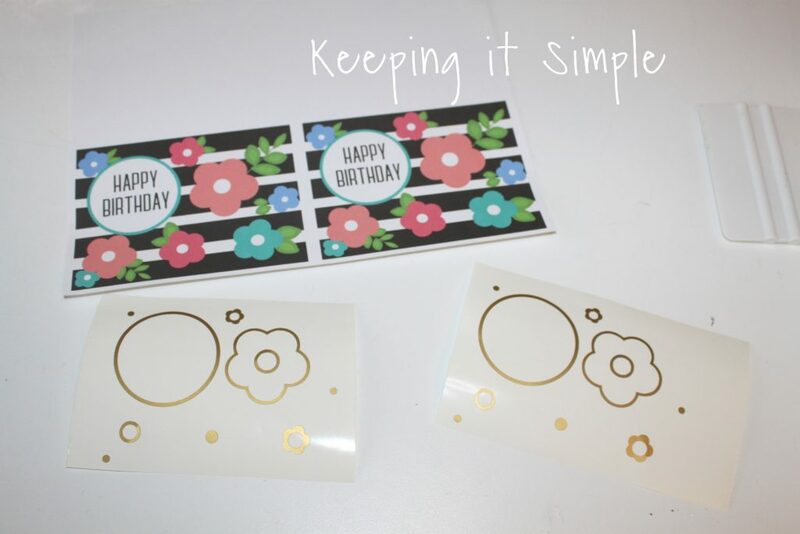 Since the lids were gold, I decided to use some fun gold vinyl for the names and then for the floral tag too. I made up the printable in Silhouette Studio and printed it off. You can get the printable here. Using my Silhouette CAMEO, I cut out each of the girls’ name out of the gold vinyl. Then I weeded the vinyl and put some transfer tape onto the vinyl. 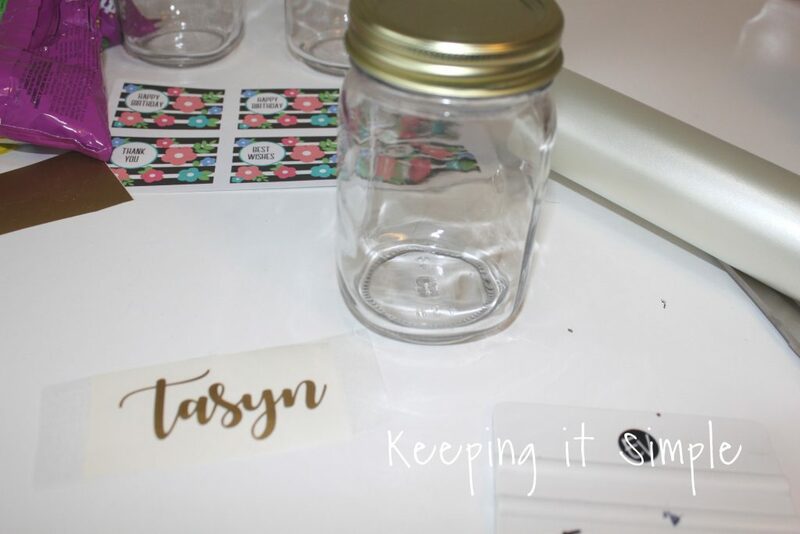 I then peeled back the transfer tape and put the vinyl onto the jar. Once the vinyl was on the jar, I then peeled off the transfer tape. Next I weeded the vinyl that I used for the cards. 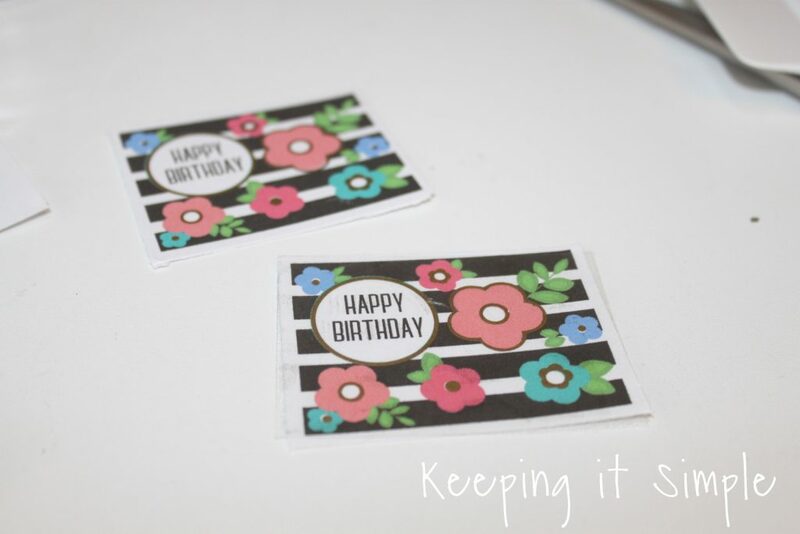 I put the vinyl onto the floral tag using transfer tape. The vinyl matches up exactly with the tag, so all I had to do was place it on one or two circles and the rest just matched up. 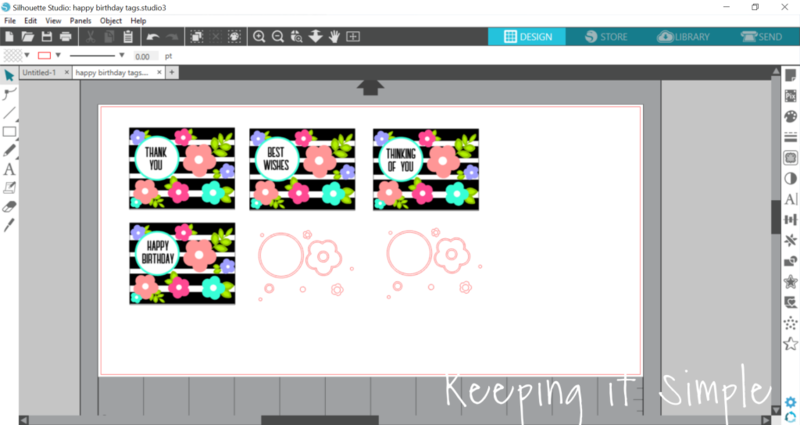 That’s the joy of using Silhouette studio, you can make sure that they are the exact same size :). If you print from the PDF file, the SVG file doesn’t match it exactly, it’s close but not exactly. So you might have to play with it. 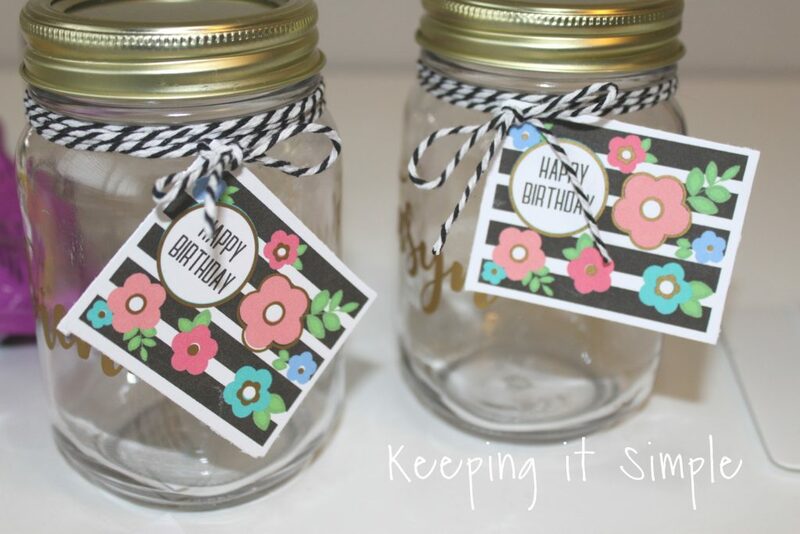 Once the vinyl was on the floral tag, I put it onto the jar. 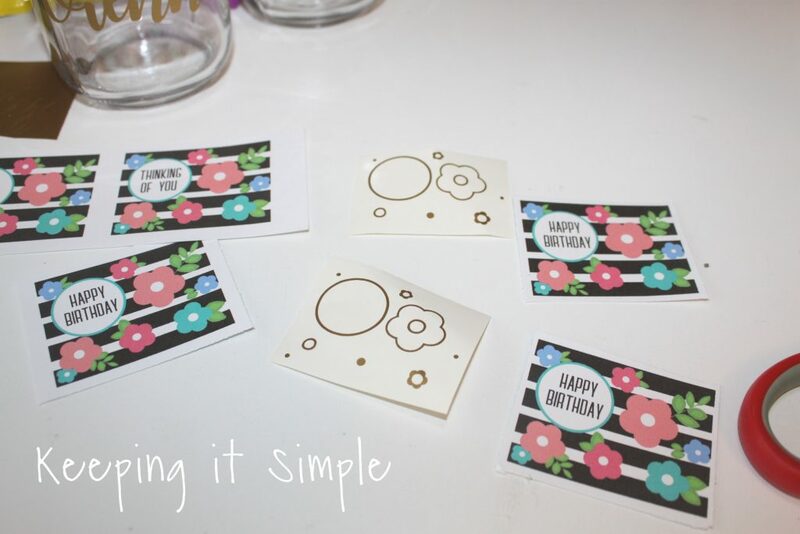 I used a 1/8″ circle hole punch and black and white baker’s twine. And that’s it! One bag of Skittles fits into the mason jar perfectly. I used a few different flavors because the colors are more fun! 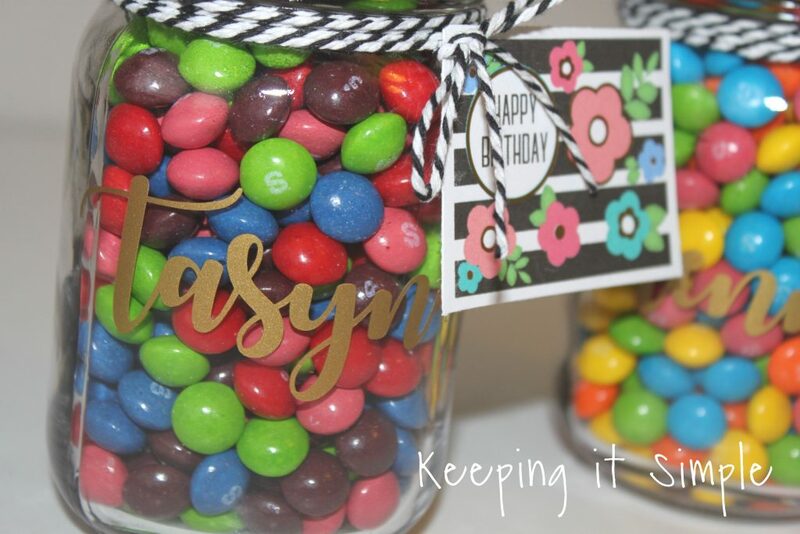 Here is a close up of the name in vinyl, candy jar and Skittles. I know that the girls are going to love them! Here is a close up of the floral tag. I love how the metallic gold vinyl looks on the tag. It just adds the perfect touch to the birthday gift. I can’t wait to give the activity day girls these gifts through out the year. I thought that these would be fun gifts for any time. So I made up tags that say Thank You, Best Wishes and Thinking of You. 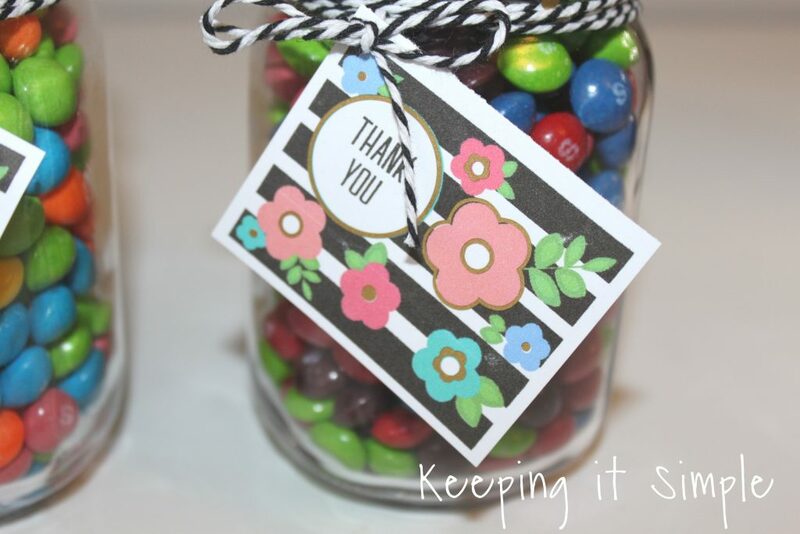 They would be perfect for a thank you gift or for really anything. 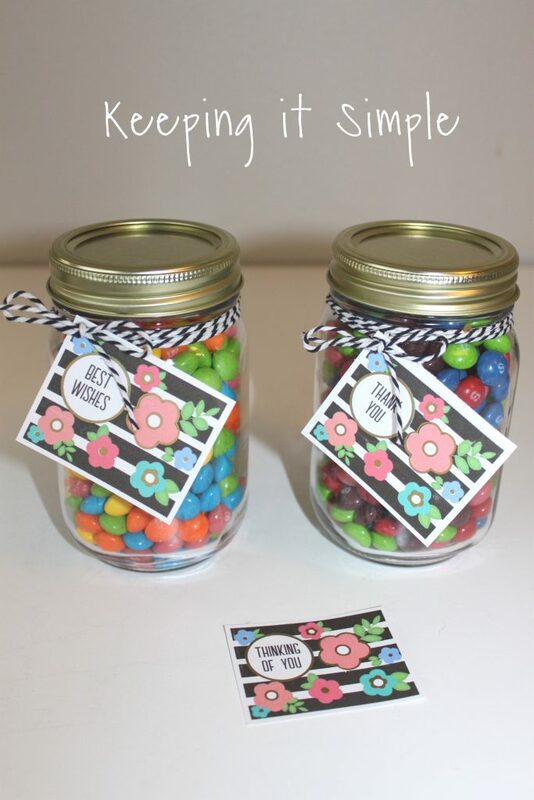 Who wouldn’t want a cute mason jar full of candy?! 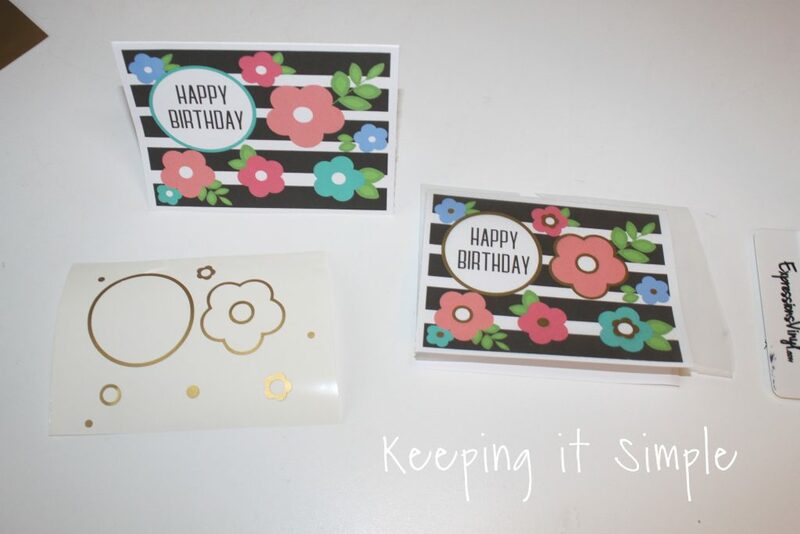 I also thought that these would make super cute cards, so I increased the size of the card and the cut design in Silhouette studio to make it the perfect size of a card (5 1/2 x 4 1/4 inches). Then I printed it out and cut out the vinyl again. 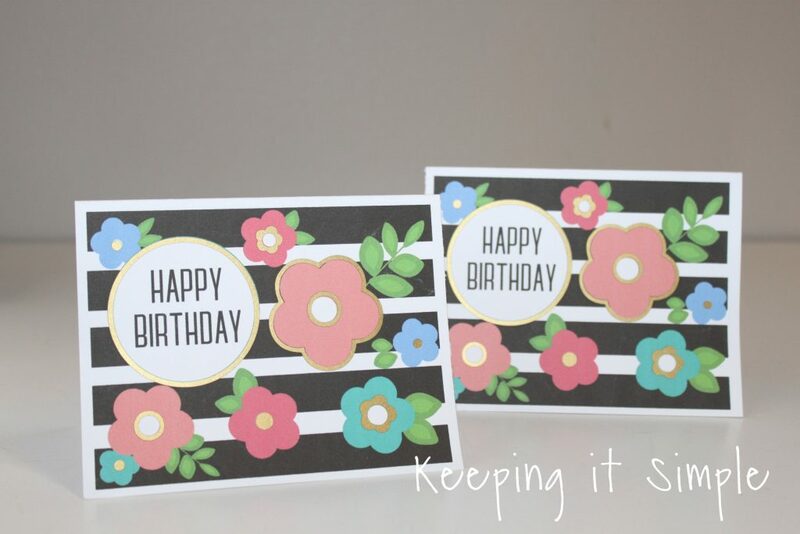 Using the transfer tape again, I put the vinyl onto the floral birthday card. And that’s it for the birthday cards. Super fun and cute! 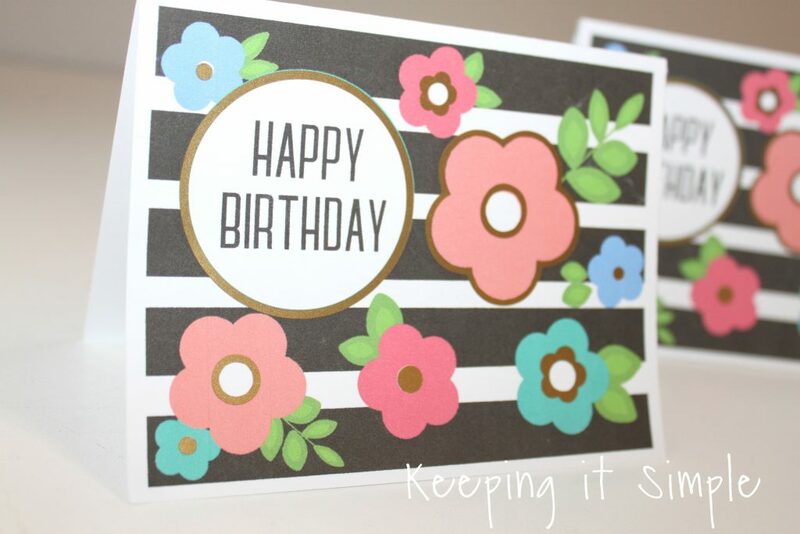 Here is a close up of the birthday card, I seriously love the vinyl on the card! 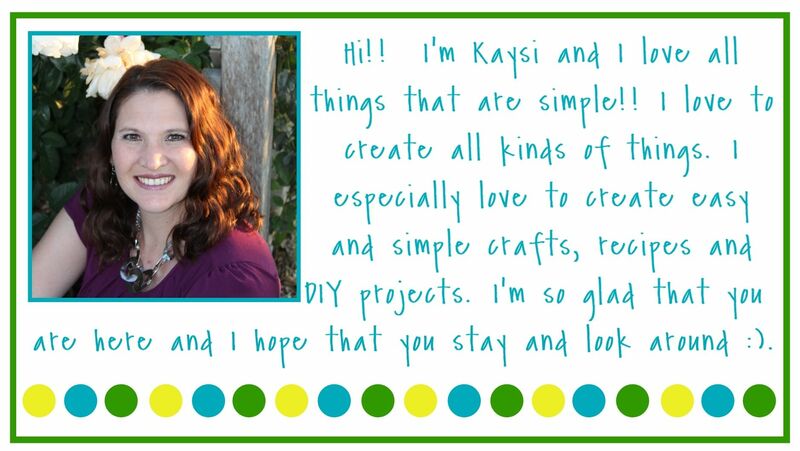 Make sure to check out my other mason jar crafts.